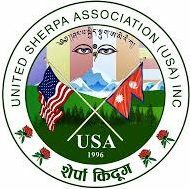 Tshyokor Tuchen – UNITED SHERPA ASSOCIATION (USA), INC.
Tshyokor Tuchen, is one of the important days in Mahayana Buddhism. It is the day of Buddha’s first turning of Dharma wheel and starting of his first teaching. It is celebrated on the 4th day of 6th month according to Tibetan Lunar Calendar —it usually falls in the month of August. This auspicious day is also known as Tukpa Tsheshyi.